Dell Rapids Legion: 2018 State B Champs! For the first time in nearly 50 years, the Dell Rapids Legion baseball team can call themselves legion champions! Dell Rapids captured the 2018 State B title in extra innings by defeating McCook/Minor 10-7 on Tuesday, July 31st in Redfield. The last time Dell Rapids won the state legion title was when they won back-to-back titles in 1968 and 1969. Both teams were held scoreless for the first three and half innings. Dell Rapids finally broke through in the bottom of the fourth inning. Ty Wood drew a bases-loaded two-out walk to score Elijah Story. Keegan Miller than scored on a wild pitch for an early 2-0 lead. McCook/Minor tied the game in the top of the fifth inning on a two-run single by Kendall Gassman. Trent Kingsbury added an RBI single later in the inning to give McCook/Miner a 3-2 lead. McCook/Minor added two more runs in the top of the sixth inning on errors to push their lead to 5-2. Dell Rapids pulled within a run in the bottom of the fifth after Miller and Wood scored on an error. McCook/Minor led 5-4 after six innings of play. They would add two more runs on a two-run single by Cole Gassman to make the score 7-4 heading into the bottom of the seventh inning. Matt Gillogly lined a double to right field to score Eddie Price to cut the lead to 7-5. Story, the very next batter, took the first pitch he saw and drove it over the left field wall for the game-trying two-run home run. McCook/Minor would load the bases in the top of the eighth inning with one out after a walk, hit by pitch, and single. Story was able to work out of the jam on the mound by getting the next two batters on a pop out to second and a line out to shortstop. With one out in the bottom of the eighth inning, JD Holm singled to center. Price reached by an error. Gillogly stepped to the plate with Holm and Price on base and one out. On a 3-2 pitch, Gillogly drove a no-doubter over the right field fence for the game-winning three-run home run to give Dell Rapids the title. Gillogly finished the game with two hits and four RBIs. Price and Miller also had two hits in the game. Story, Holm, and Josh Roemen all had one hit. Story had two RBIs, and Wood also had an RBI. Roemen started the game on the mound pitching six innings giving up five runs, two earned, on eight hits while walking three and striking out six batters. 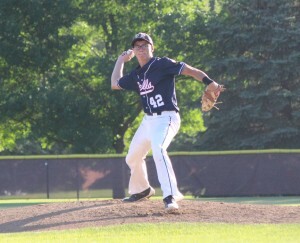 Story pitched the final two innings giving up two earned runs on three hits with two walks and a strikeout. The team was met by a fire truck and was led back into Dell Rapids down to Rickeman Field where a celebration was had. Dell Rapids finished the season with a 13-6 record. 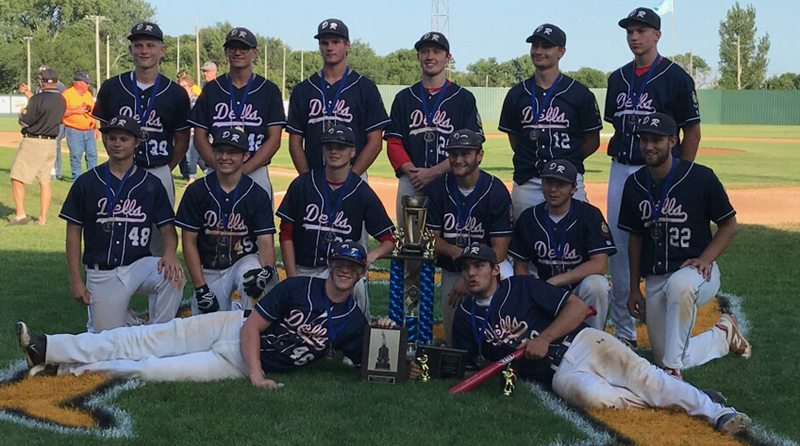 Another five-run inning was all the Dell Rapids Legion baseball team needed to notch their second victory at the 2018 State B Legion Tournament in Redfield. Dell Rapids would add a seven-run inning for good measure on their way to a 12-1 victory over Tabor on Saturday, July 28th. With the bases loaded and one out in the bottom of the third inning, Matt Gillogly singled to right field scoring Ty Wood for the first run of the game. Two batters later Elijah Story hit a grand slam home run to left field to give Dell Rapids a 5-0 lead. Tabor scored their lone run in the bottom of the fourth inning. Joey Slama hit an RBI double that scored Bryce Scieszinski. Wood hit a sacrifice fly for the second out of the fifth inning, but the flyout scored Keegan Miller to make the score 6-1. Dell Rapids then scored six more times before the third out. Josh Roemen hit an RBI single, Jake Rechtenbaugh and Roemen scored on an error, and Gillogly hit a three-run home run to make the score 12-1. Tabor did not score in the bottom of the fifth inning, and the game ended on the 10-run rule. Eddie Price pitched a complete game allowing one earned run on two hits while walking three batters and striking out eight. Holm and Gillogly both had two hits in the game. Roemen, Price, Story, Rechtenbaugh, and Wood also had hits. Story and Gillogly both had four RBIs each in the game. 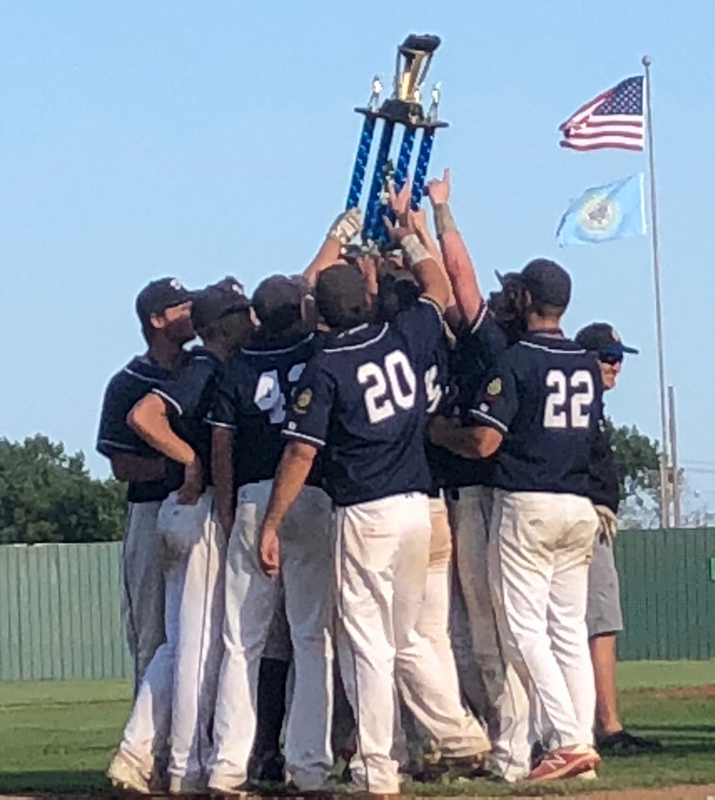 Dell Rapids will play Spearfish on Sunday, July 29th at 7:00 p.m.
A five-run fifth inning gave Dell Rapids a win in the opening round of the 2018 State B Legion Tournament in Redfield on Friday, July 27th. Dell Rapids defeated Groton 7-3 to advance in the winner’s bracket. Groton scored first on a solo home run to left field in the bottom of the second inning. It was the only run allowed by starter Josh Roemen. Dell Rapids loaded the bases with one out in the top of the fifth inning. JD Holm lined a double to center field to drive home all three runs and give Dell Rapids a 3-1 lead. Matt Gillogly drove home Holm with a double two batters later to extend the lead. Gillogly would later score on a passed ball for the fifth run of the inning. Dell Rapids scored two more times in the top of the seventh inning. Eddie Price scored on a wild pitch, and Tyson Dahler had an RBI groundout to push the lead to 7-1. Groton scored two times in the bottom of the seventh, but Dell Rapids shut the door on a rally to win the game. 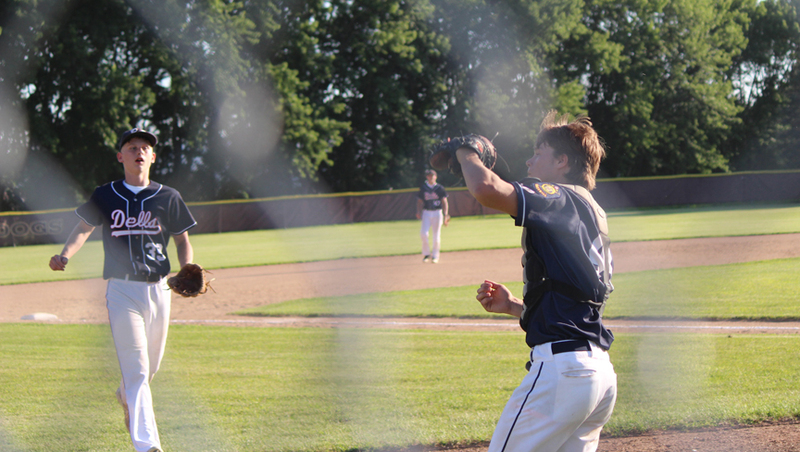 Jake Rechtenbaugh and Dahler both had two hits in the game. Holm had one with three RBIs. Gillogly had a hit with an RBI. Dahler also collected an RBI in the game. Roemen earned the win on the mound pitching five innings while giving up just one run on three hits with six strikeouts. Dell Rapids will play Tabor at 4:30 p.m. on Saturday, July 28th. The Dell Rapids 15/16 Teener team had its 2018 season come to an end in the Class A Northwest Regional Tournament in Madison on Wednesday, July 25th. The regional tournament was being held Tuesday, July 24th through Thursday, July 26th. Dell Rapids played Madison White on Tuesday and Lake Norden on Wednesday. Dell Rapids opened up the tournament against Madison White and jumped out to an early 8-3 lead after the top of the second inning. Madison closed the gap to 8-5 after the second inning. Trailing 8-6 heading into the bottom of the sixth inning, Madison scratched across a couple of runs to tie the game 8-8. Madison would get the game-winning run in the bottom of the seventh inning for a 9-8 victory. Dell Rapids then had to play Lake Norden on Wednesday in an elimination game. Trailing 6-4 after four innings of play, Dell Rapids scored four times in the top of the fifth inning to take an 8-6 lead. Dell Rapids held Lake Norden scoreless in the fifth to keep the two-run lead. Lake Norden, however, took advantage of a couple of Dell Rapids walks and errors in the bottom of the sixth inning and scored seven times to take a 13-8 advantage. Dell Rapids scored three times in the top of the seventh inning, but couldn’t complete the comeback and fell 13-11 to end the season. Dell Rapids also played in the I29 League throughout the summer. Their league record was 6-9. The I29 League for the 15/16 teeners included teams from Madison, West Central, Garretson, Canova, Baltic, Volga, Salem-Montrose, Tri-Valley, Sioux Falls, Tea, Dell Rapids, and Flandreau. Needing to wait an extra day to play the championship game due to rain, Dell Rapids defeated Madison for the second game in a row to win the Region 2B championship and qualify for the 2018 Class B Legion State Tournament. 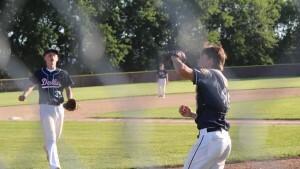 Dell Rapids won 9-0 at Flynn Field in Madison on Thursday, July 19th. Dell Rapids scored six times in the bottom of the second inning and never looked back. After back-to-back walks to start the inning, Elijah Story drove home the first run with an RBI single. Jake Rechtenbaugh brought home two more with a single. Tyson Dahler scored the fourth run on a wild pitch, and Josh Roemen scored on a double by JD Holm. Eddie Price hit an RBI single for the final run of the inning. Dahler added an RBI double in the bottom of the third inning to give Dell Rapids a 7-0 lead. Rechtenbaugh drove home the final two runs on a single in the bottom of the fifth inning. Rechtenbaugh led the offense with two hits and four RBIs. Dahler, Story, and Holm all had two hits and an RBI. Price had an RBI hit, and Keegan Miller also had a hit. Price was dominating on the mound. Price went 6 2/3 innings giving up no runs on just four hits while walking just one and striking out 14 Madison hitters. Lealand Randel pitched the final 1/3 of an inning allowing a hit. 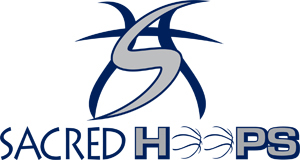 The State B Tournament will be held in Redfield Friday, July 27th through Tuesday, July 31st. 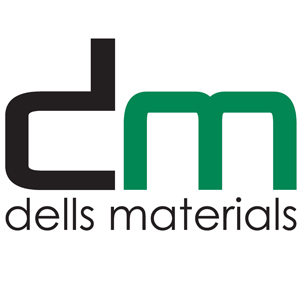 Dell Rapids will play their opening round game on Friday at 10:00 a.m.
A nine-run sixth inning lifted the Dell Rapids Legion baseball team to a 12-5 regional win over Madison at Flynn Field in Madison on Tuesday, July 17th. The win puts Dell Rapids into the region championship game. Dell Rapids scored first in the bottom of the first inning on an RBI double by Matt Gillogly. Madison tied the game in the top of the second on an RBI single. The two teams were held scoreless in the third inning, and the score was tied 1-1 after three innings of play. Eddie Price scored on an error in the bottom of the fourth inning to break the tie and give Dell Rapids a 2-1 lead. Madison rallied for four unearned runs in the top of the fifth inning on three Dell Rapids errors to take a 5-2 lead. Price had an RBI single in the bottom of the inning to cut the lead to 5-3. With two outs in the bottom of the sixth inning, the Dell Rapids offense exploded. Tyson Dahler scored on a wild pitch, Price had a two-run double, Gillogly smacked a three-run home run, Elijah Story added an RBI single and scored on a wild pitch, and Dahler scored the ninth run of the inning on another wild pitch. Dell Rapids then led 12-5 after the sixth inning and held on for the victory. Gillogly finished 3-3 with four RBIs. Price was 2-3 with three RBIs. Story was 2-4 with an RBI. Josh Roemen, JD Holm, Keegan Miller, Logan Stone, and Dahler all collected hits in the game. Roemen pitched 6 2/3 innings giving up five runs, one earned, on six hits with two walks and 14 strikeouts. The region championship game will be played at Flynn Field in Madison at 8:00 p.m. on Thursday, July 19th. The Dell Rapids Legion baseball team advanced to the semifinals in their regional tournament after a 12-2 over Aurora in the opening round on Monday, July 16th in Madison. Dell Rapids scored 12 unanswered runs after Aurora started the game with two runs in the top of the first. Dell Rapids cut the lead in half at 2-1 after the first inning on an RBI single by Matt Gillogly. Dell Rapids took the lead for good in the bottom of the third inning on a three-run home run by Gillogly to make the score 4-2. Two more runs were scored in the bottom of the fourth on an RBI triple by Josh Roemen and an RBI double by JD Holm. Three more runs came home in the bottom of the fifth on an RBI double by Jake Rechtenbaugh and RBI walks to Holm and Gillogly. The final three runs were scored in the bottom of the sixth on an RBI single by Rechtenbaugh and a two-run single by Holm. Roemen, Holm, Gillogly, and Rechtenbaugh all had two hits each in the game. Eddie Price, Keegan Miller, and Logan Stone also had a hit in the game. Gillogly and Holm both had four RBIs. Rechtenbaugh had two RBIs, and Roemen also had an RBI. Elijah Story pitched 5 2/3 innings giving up two runs, both earned, on four hits while walking five batters and striking out eleven. Lealand Randel pitched the final 1/3 of an inning striking out the lone hitter he faced. Dell Rapids will play Madison at 8:00 p.m. on Tuesday, July 17th in Madison at Flynn Field. 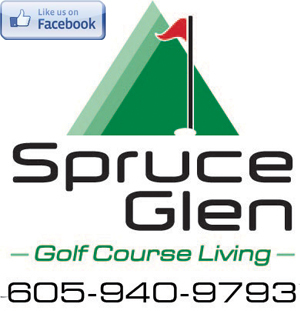 The winner will advance to the championship game on Wednesday, July 18th at 8:00 p.m.. The loser of the game will face the winner of Aurora and Garretson on Wednesday at 6:00 p.m. The 2018 season for the Dell Rapids 13/14 Teener team came to an end at the Class A Northeast Regional on Wednesday, July 11th. The regional tournament was held in Milbank Tuesday, July 10th through Thursday, July 12th. Dell Rapids opened the tournament with a 12-2 win over Milbank on Tuesday afternoon. Dell Rapids jumped out to an early 3-0 lead in the first inning and cruised to the 10-run victory in five innings. Austin Henry pitched a complete game for Dell Rapids in the win. Dell Rapids then faced a tough Volga team Wednesday afternoon. The game was close early. Dell Rapids led 3-2 after the first inning, but Volga scored four times in the bottom of the second inning to take a 6-3 lead. Dell Rapids pulled within a run after the top of the third at 6-5, but once again Volga responded. Volga scored six times in the bottom of the third to extend the lead to 12-5. Volga went on to defeat Dell Rapids 15-9 to advance to the championship game. Dell Rapids had a short break and had to play Milbank again in the last game of the day on Wednesday. This time Milbank got out to an early lead. They lead Dell Rapids by four to six runs most of the night and even lead by eight runs at 12-4 heading into the bottom of the seventh inning. Dell Rapids rallied for five runs in the last inning and even had the bases loaded before the final out was recorded to give Milbank a 12-9 win. Henry finished the tournament with a .600 batting average with a double and five RBIs. Landon Ruesink had an average of .545 with a double, triple and three RBIs. Brady Larson hit .300 with five RBIs. Brayden Pankonen collected three hits and an RBI. Charlie Holm had two hits and three RBIs. Josh Deknikker, Dylan Mathis, and Shane Ness all had a hit. Matthew Goeken drew four walks and scored two runs. Volga went on to win the region championship over Milbank 17-7 to advance to the 13/14 Class A State VFW tournament in Flandreau July 19th-21st. The Northeast Region tournament teams were Volga, Dell Rapids, Milbank, Flandreau, and Sisseton. The Dell Rapids 13/14 teener team that played in the regional tournament was a combination of two 13/14 Dell Rapids league teams. The league teams played in the I29 League. Dells-J league team was coached by Jeff Holm, Bill Goeken, and Matt Larson. Dells-J finished with a 5-9 league record. Dells-N league team was coached by Nate Henry and Fran Ruesink. Dells-N finished with a 6-6 league record. The I29 League consists of teams from Baltic, Canova, Dell Rapids, Elkton, Flandreau, Garretson, Hills-Beaver Creek, Madison, Parker, Salem-Montrose, Tea, Tri-Valley, Volga, and West Central. Several members of the Dell Rapids baseball team earned post-season awards this season. Four players earned 2018 Academic All-State awards for having a GPA of 3.5 or above. They were Elijah Story, Matt Gillogly, Tyson Dahler, and Jeffrey Schuch. Dell Rapids had three players earn All-State honors. Eddie Price was a First Team All-State selection. Story and Gillogly were Second Team All-State selections. Six players were mentioned for the Region 2B All-Region team. Price, Story, Gillogly, Carter Gullickson, and Jay Holm were All-Region selections. Keegan Miller was an All-Region Honorable Mention. Dell Rapids finished with an overall record of 10-3. Dell Rapids had the bases loaded with two outs trailing by a run in the bottom of the seventh, but couldn’t get the tying run home as Redfield upset #1 seed Dell Rapids 13-12 in the opening round of the Region 2B tournament at Rickeman Field on Tuesday, May 22nd. Redfield scored first in the top of the first inning after a fielding error. Redfield added three more runs in the top of the second inning after back-to-back singles and then a double for a 4-0 lead. Dell Rapids answered in the bottom of the second with a big inning. Jake Steineke drove home two runs with a single to cut the lead in half. After Tyson Dahler was hit by a pitch, Eddie Price doubled to bring home Steineke. Carter Gullickson followed with another double scoring both Dahler and Price to give Dell Rapids a 5-4 lead. Two batters later, Matt Gillogly hit a two-run home run to push the Dell Rapids lead to 7-4. Redfield scored another run in the third inning to make the score 7-5, but Dell Rapids again when Dahler got an RBI single in the bottom half of the third to push the lead back to three runs at 8-5. Redfield had another big inning in the top of the fourth. The first run of the inning scored on a wild pitch. Back-to-back hits drove home three more runs to give Redfield the lead again at 9-8. Another run came home after an error, and Redfield lead 10-8 after the top of the fourth inning. Three more runs came home to score for Redfield in the top of the fifth inning. An error, a single, and an error led to the runs for Redfield as they led 13-8 heading to the bottom of the fifth inning. Dell Rapids got back-to-back RBI doubles by Dahler and Price to cut the lead to 13-10 heading into the sixth inning. Neither team scored in the sixth to set up a tense seventh inning. After an error, Dell Rapids was able to turn a double-play defensively in the top of the seventh inning. Redfield, however, drew three straight walks to load the bases with two outs. Gillogly was able to get the next batter out on a strikeout to keep the game at 13-10 heading into the final at bat. Jeffrey Schuch started the top of the seventh with a single. After a pop out, Dahler collected another hit to put runners on first and second. Price drew a walk to load the bases for Dell Rapids. Gullickson followed with a walk to score Schuch to make the score 13-11. Jay Holm popped out to shortstop for the second out. Gillogly drew another walk to bring home Dahler, and the lead was cut to 13-12 with the bases remaining loaded with two outs. Keegan Miller hit a 1-0 popup just behind first base that was caught for the final out of the game. Schuch, Price, and Dahler all had three hits in the game. Gullickson and Gillogly had two hits each. Elijah Story and Steineke both had a hit as well. Gullickson and Gillogly both had three RBIs each. Price, Steineke, and Dahler all drove home two runs apiece. The Dell Rapids season comes to an end with a record of 10-3.